Being grateful is a key to staying happy !!! 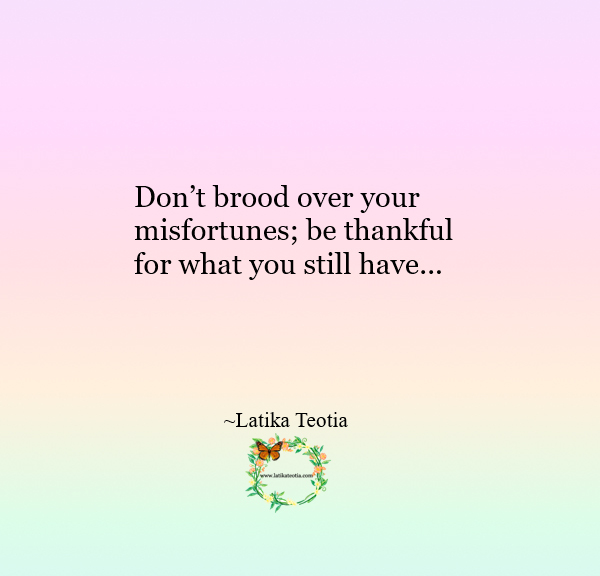 Be thankful for what you have; don’t brood over your misfortunes. Perhaps some calamity has befallen you or perhaps you have lost a near and dear one. Maybe you have recently had some serious health issues or perhaps you are having financial problems. 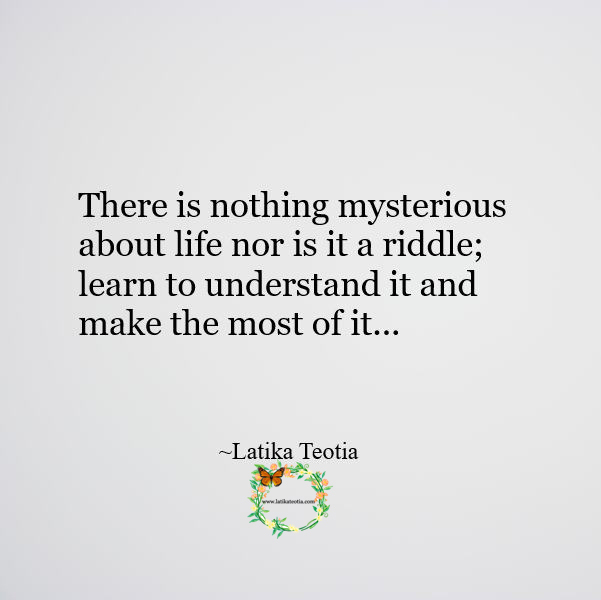 Yes, such circumstances are very difficult to bear and you feel that your world has crashed. But even then there is so much to be thankful for. 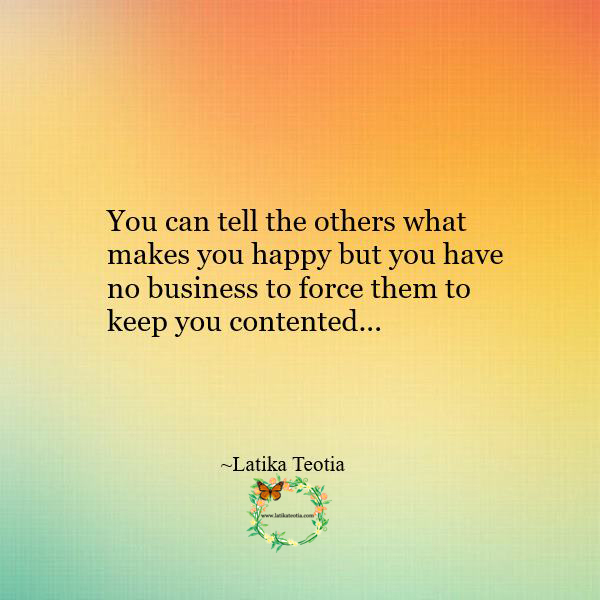 Contentment !!! Happiness !!! Peace !!! 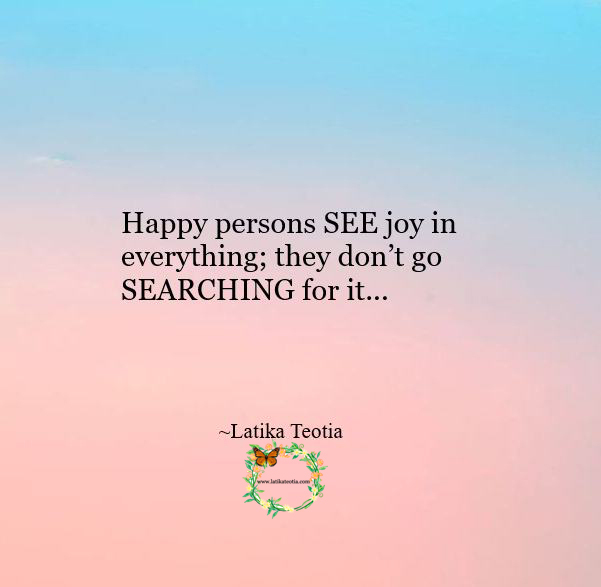 Happy persons SEE joy in everything; they don’t go SEARCHING for it. They see God’s miracles and learn to enjoy them. The flight of a bird, rainbow in the sky, fluttering of butterflies, children playing with gay abandon, an old couple in the park enjoying their togetherness, sunrise, clouds in the sky, a clear sunny day or the rhythm of the falling rain, and so many countless things fill them with joy. Do what makes you happy !!! 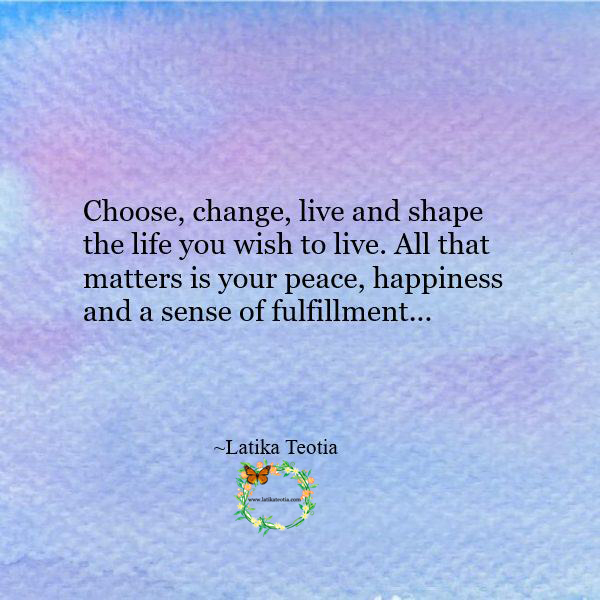 Nothing is more important than your own happiness and peace !!! You live only once so make the most of it. Don’t slog so hard that work becomes your life; instead enjoy your work and set limits or boundaries, don’t cross them. 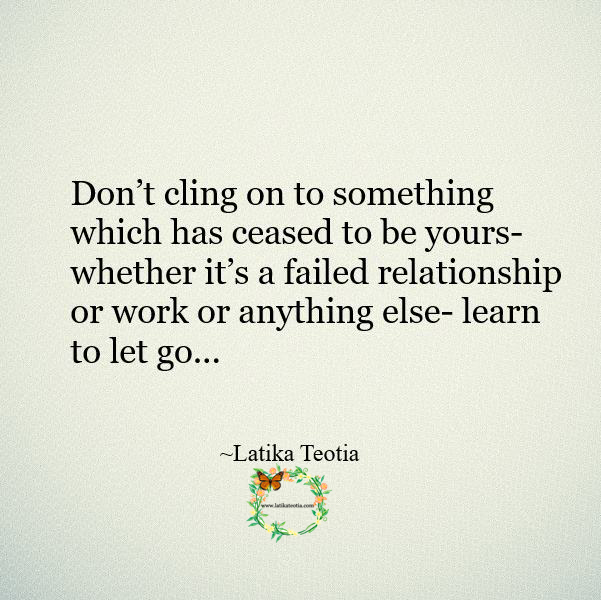 Similarly love, but do that to make yourself happy, love for a life of fulfillment, love if it makes you ‘complete’ love because you ‘want’ to and not because you ‘have’ to; it’ll be a big mistake if you love out of compulsion or to please someone or because someone wants you to. Dream and fulfill them; set achievable goals. 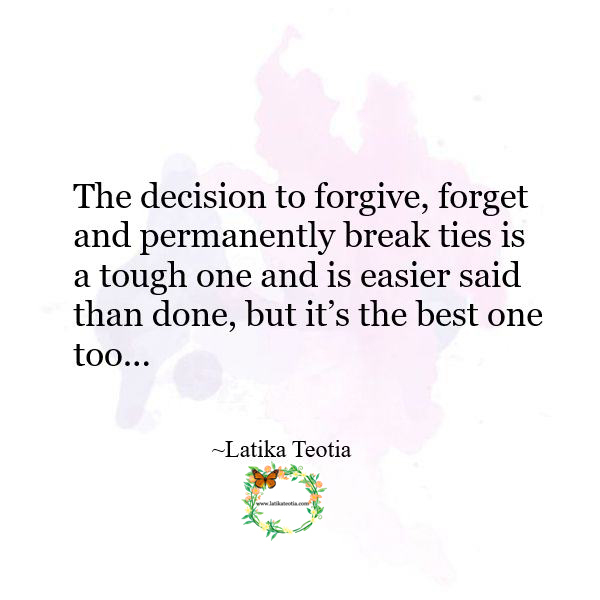 Forgive, forget and move on !!! Advertisements for women should focus on health, happiness,self confidence !!! Most of the advertisements for women talk of only two things; one fair complexion and the other anti aging. This results in creating unnecessary complexes, especially for those with dark complexions or those who are on the other side of young age. Is that the only way to measure women? A dark complexioned lady too is just as beautiful as those with other complexions. Women becomes more mature, much more graceful, tactful, loving, caring, kind and all encompassing with the passage of time. They has been through life’s journey and picked up precious nuggets of wisdom along the way. 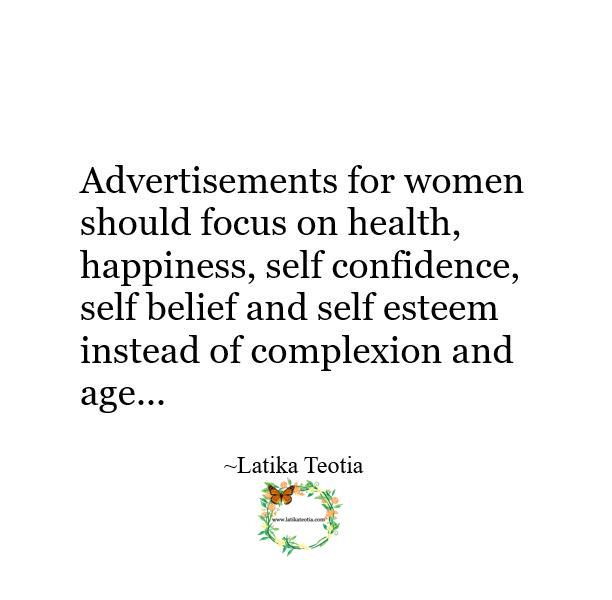 Advertisements should, instead, focus on health, happiness, poise, self confidence, self belief and self esteem. By staying fit and in good health, women are indirectly contributing to society. Healthy, cheerful persons full of confidence will spread the message of good will and make this world a better place to live in.